Your hips are an integral part of your ability to be mobile, When they are painful, moving around is a problem. 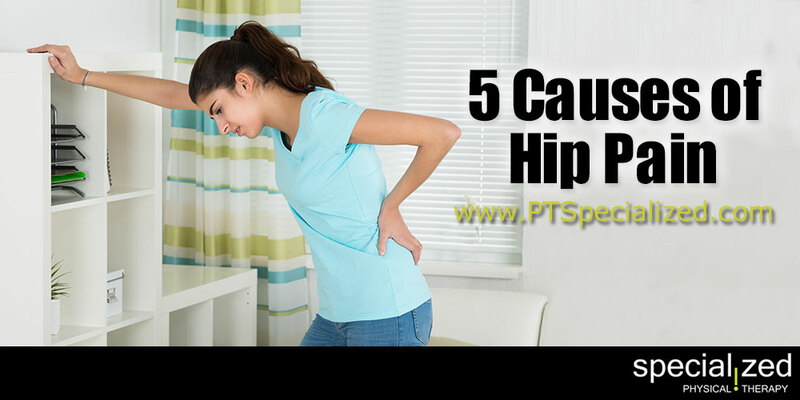 So what are common causes of hip pain? When the tendons surrounding the hip that connect the muscles to the joint become inflamed you end up with tendonitis. Tendonitis causes tenderness and pain just outside the joint. Bursitis is a condition that affects the small fluid-filled sacs that cushion the bones, tendons, and muscles in the hip joint. Bursitis causes you to feel achy, stiff, and your hip will hurt when you touch or press on it. In fact, arthritis is the most common form of chronic hip pain in women. Osteoarthritis happens in the hip when the ball and socket joint of your hip get worn as you age. Osteoarthritis pain is mostly felt in the front of your thigh or in your groin because of the swelling and inflammation in the joint. Rheumatoid arthritis is a chronic progressive disease that causes inflammation in the joints, and it usually affects hands and wrists before moving to larger joints like hips and knees. With RA hip pain, you’ll experience discomfort and stiffness in your groin and thigh. Psoriatic arthritis is another inflammatory condition that affects people with a skin condition called psoriasis. Pain from these types of arthritis will exhibit itself as stiffness, inflammation, discomfort, swelling, and tenderness in the joint. Another cause of anterior hip pain in women is sometimes caused by femoral and inguinal hernias in the groin. This is called a sports hernia which is a strain or tear of any soft tissue in the lower abdomen or groin area. This type of pain happens when sustaining a sports injury and usually goes away with rest, however it can return when sports or other exercise starts again. Fractures can stem from osteoporosis or because of a fall or both. If you have a hip fracture you will experience pain when you straighten, lift, or stand on your leg, and the toes on your injured side will appear to turn out. A pinched nerve, which is when too much pressure is applied to a nerve by surrounding tissues like bones, muscles, cartilage, or tendons, can cause pain, tingling, weakness, or numbness. The most common type of pinched nerve is sciatica.